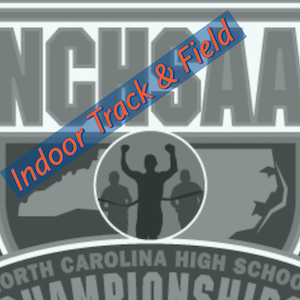 February 9, 2019 - WINSTON-SALEM, NC – The North Carolina High School Athletic Association (NCHSAA) 1A/2A Indoor Track Championships saw a pair of 1A/2A meet records fall on the men’s side. The Cuthbertson women earned the program’s tenth team title and first since 2016. The Croatan men nabbed their second consecutive title. Kendall Jordan from Cummings was named the Most Valuable Performer of the women’s meet, as she found herself on the top of the podium in two events. Brendan Hodge from Croatan won the Most Valuable Performer of the men’s meet and won top honors in three events. February 8, 2019 - WINSTON-SALEM, NC – The North Carolina High School Athletic Association (NCHSAA) annual 3A Indoor Track & Field Championships saw some familiar faces and programs on top of the podium at the JDL FastTrack in Winston-Salem. The Cuthbertson women’s team ran away with their third straight 3A team title while the Weddington men captured back-to-back team championships. Kyle Durham from Weddington claimed the meet’s Most Valuable Performer Award, capturing the top of the podium in two individual events and the 1600 Meter Relay. Alexis Patterson from Parkland was the Most Valuable Performer on the women’s side, winning three events including the 4 X 200 Relay. 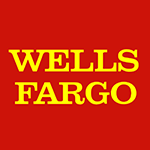 February 9, 2019 - WINSTON-SALEM, NC – The North Carolina High School Athletic Association (NCHSAA) 4A Indoor Track and Field Championships at the JDL FastTrack were tightly contested as seven all classification meet records went down. The Southeast Raleigh men’s and women’s teams swept the team competitions, holding on to narrow margins in each team race to claim the state championships. Morgan Smalls from Panther Creek was the star of the 4A Women’s Championship Meet, winning three individual field events and setting new state meet records in every one of those disciplines on her way to Most Valuable Performer honors. Southeast Raleigh’s Eric Haddock was the Most Valuable Performer, winning a pair of field events and standing on top of the podium with his victorious 4 X 200 Meter Relay team as he helped the Bulldogs to the State Championship.